The 2-million-gallon elevated water storage tank featured in the video below is located in Decatur, Alabama. The water tank is not only an integral part of the town’s water system, but, like many water tanks, it’s also a special local landmark. Because it is located near the historic Delano Park and directly across the street from Decatur High School, the tank is commonly seen in the backdrops of graduating seniors’ photos. 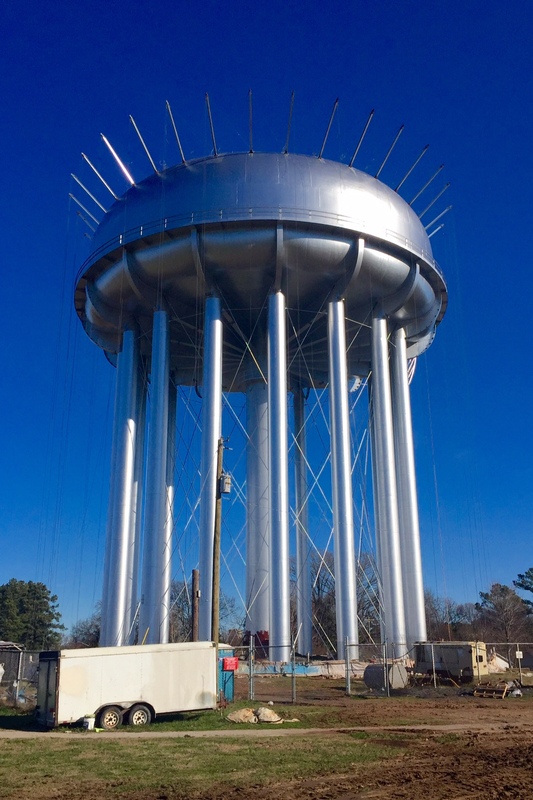 The owner, Decatur Utilities, decided to restore the tank to its original condition and appearance using Induron’s Armorlux Aluminum finish coat. This finish coat is a ready mixed aluminum paint made with aluminum flake and a superior wetting vehicle. Armolux Aluminum also provides excellent coverage and dries to a uniform metallic appearance. The project began in May 2015 and was completed in March 2016. In the video below, you can watch the progress from start to finish!